Barter Books : Barton, William P C : Vegetable Materia Medica of the United States; or Medical Botany: Containing A Botanical, General, and Medical History, of Medicinal Plants Indigenous to the United States. 2 volume set. 50 hand-coloured plates including one fold-out. 280 x 220 mm (11 x 9 inches) - 273pp; 243pp. Cover rubbed with edge and corner wear. Spine worn with outer spine split to volume I. Some offsetting and scattered foxing. Several plates becoming loose. Library stamp to titles and a few text leaves. Overall contents G and illustrations bright and G+. 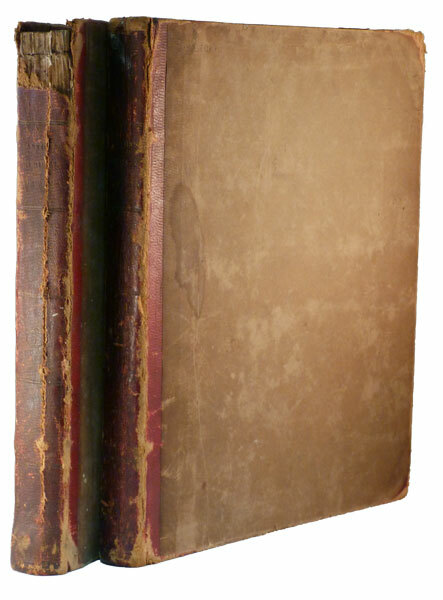 Volume II published in 1818. Includes list of subscribers.